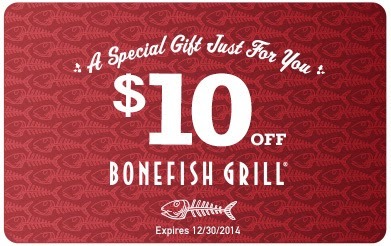 Holiday Specials at Bonefish Grill + A $10 Gift Card for All Readers!!!! 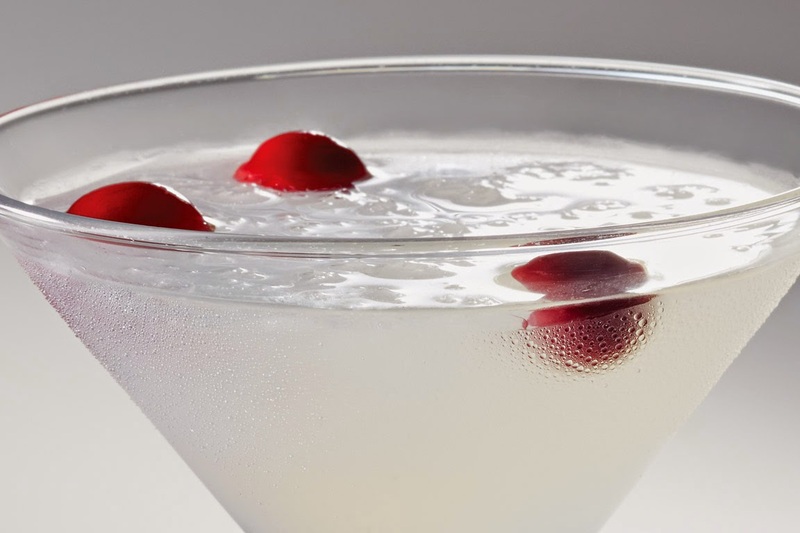 Winter White Cosmopolitan: Reyka Vodka, St. Germain Elderflower liqueur, white cranberry juice + fresh lime juice. 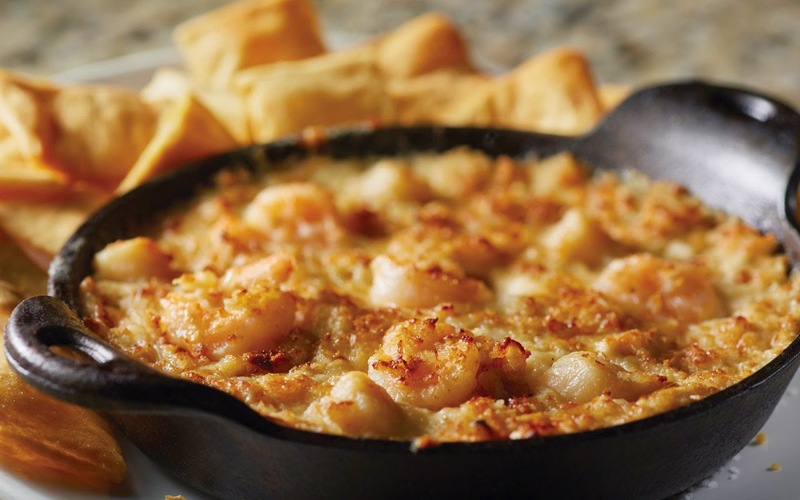 BFG Imperial Dip: Creamy crab meat, shrimp + scallops served with crispy flatbread chips. 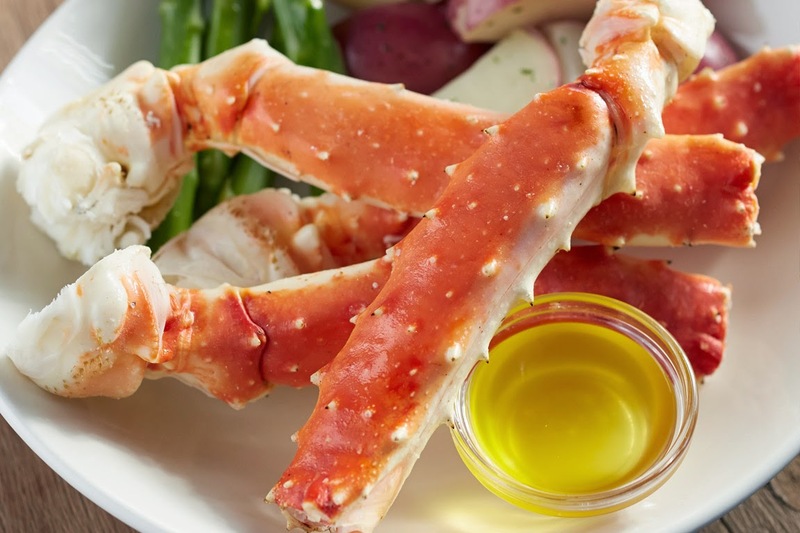 One-Pound Alaskan King Crab Legs: Succulent, sweet crab served "lazy man style"- pre cracked + ready to eat- with red bliss potatoes, steamed asparagus + warm butter for dipping. 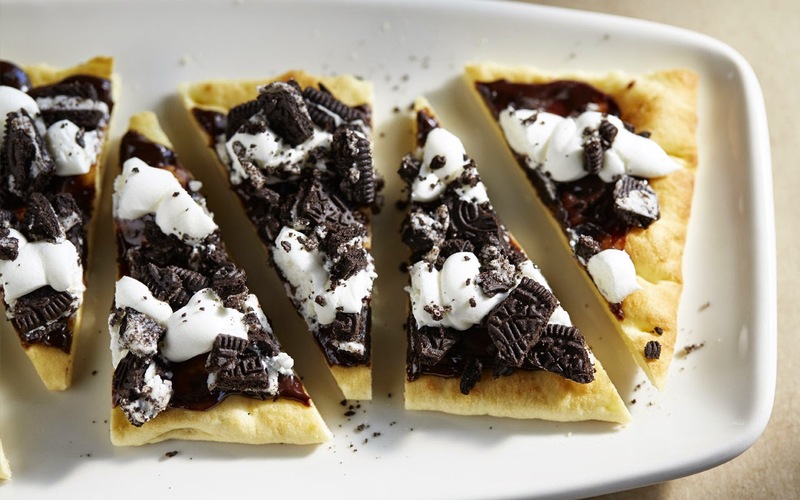 OREO Cookies + Cream Flatbread: Brioche flatbread topped with chocolate ganache, whipped cream + sprinkled with OREO cookie pieces. Don't these look and sound amazing? I've already told my boyfriend that we're going to Bonefish ASAP so that I can try them all out! And, so that you can try them too, here's a $10 GIFT CARD to use on any dinner purchase! All you have to do is present the coupon upon your next visit before 12/30/2014. 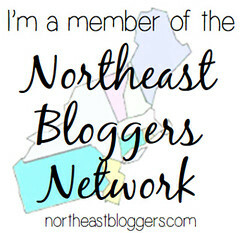 I'm so excited to be able to provide this gift card to my valued readers. 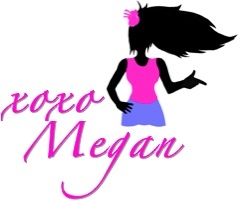 I hope you use it for a great meal and a fun night out with someone you love! Bonefish Pomegranate Martini: A house-made infusion with Fris vodka, pomegranate, and fresh mango. Bang Bang Shrimp: Crispy, tossed in a creamy, spicy sauce. Singapore Calamari: Flash-fried with peppers + sweet spicy Asian sauce. Lobster Grilled Cheese: Cheddar, smoked mozzarella, North Atlantic lobster chunks with fresh greens + lobster bisque. Bang Bang Shrimp Crispy Tacos: Served street taco-style in two crispy wonton shells with fresh tomato, shredded lettuce + sour cream. What menu item are you dying to try?